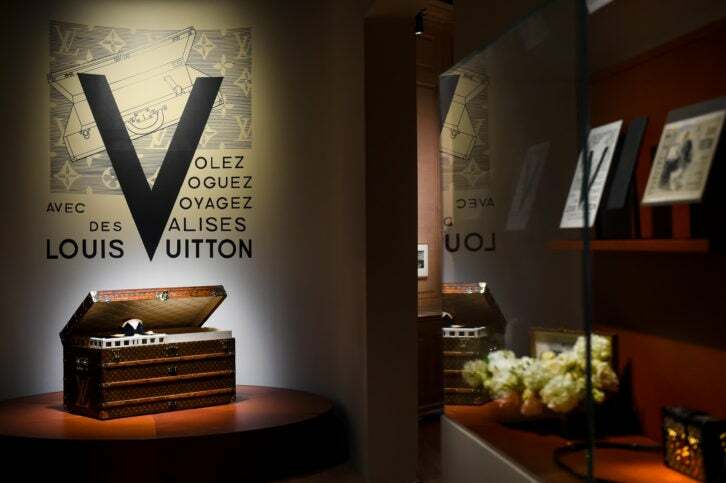 Hot on the heels of its Volez, Voguez, Voyagez exhibit in New York City, Louis Vuitton is inviting fashionable men to experience the brand outside the store again for a series of pop-up shops across the US. Through the end of winter this year, Louis Vuitton is showcasing its men’s spring/summer 2018 collection at pop-ups in Miami, Los Angeles, Honolulu and New York. The chic cities on the itinerary are playing host to the season’s colorful prints and lightweight fabrics featured in the Louis Vuitton men’s collection designed by men’s artistic director Kim Jones. 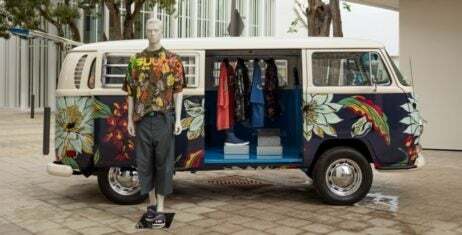 In the spirit of the retro island feel evoked by the pieces, Louis Vuitton is displaying the collection in a nostalgic van outside of three stores. 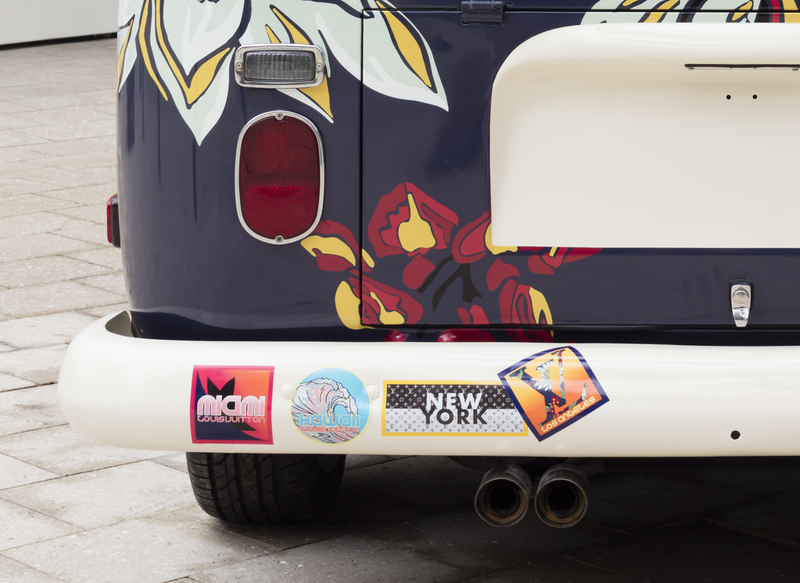 To keep with the travel theme, the van is adorned with new bumper stickers specifically designed for the collection. 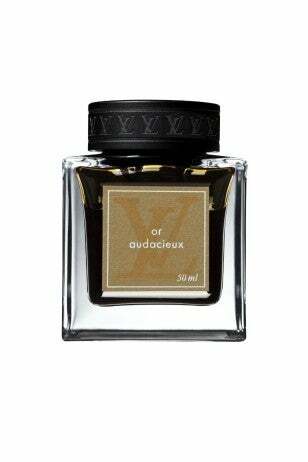 You can take the opportunity to add to your Louis Vuitton sticker stock as well — clients will receive a complimentary sticker with purchase from the collection. What’s not to be missed is the selection of exclusive, limited Louis Vuitton men’s items available at these pop-up spots in addition to the collection of leather goods, accessories, shoes and ready-to-wear. Special pieces include open-sided bombers, reflective Hawaiian shirts with organza lining, monogram totes and Keepall bags. If you’re really feeling the tropical vibes, there’s even a Louis Vuitton surfboard for you to catch a wave in style. Miami: 140 NE 39th Street, Miami, FL 33137 from January 10th to January 22nd. Los Angeles: 295 North Rodeo Drive, Beverly Hills, CA 90210 from January 26th to February 5th. Honolulu: Ala Moana Center, Level 2, Honolulu, HI 96814 from February 15th to February 22nd. New York City: 655 Madison Avenue, New York, NY 10128 from January 19th to March 5th. For more information, please visit louisvuitton.com.